After the building case is painted and before the flooring and ceilings can be finished, the copper strips for the electrics have be layed. Each room will have it's lights switched. 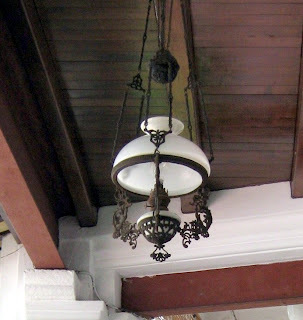 With the style of houses and the period, the electricity was retrofitted and nearly always just lighting. So easy job. On other house I have done, laying the strips can be quite complicated with wall sockets. Found a model at Dolls House Emporium. Magic.